Farragut Home Buying 101 – What Is A Homeowner’s Association? 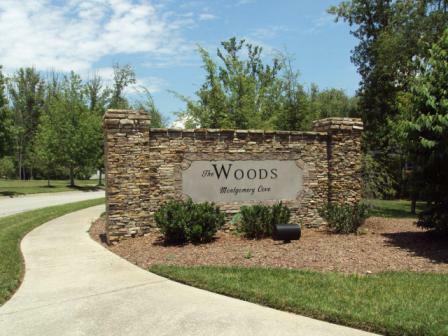 Many Farragut neighborhoods have homeowner’s associations. Farragut neighborhoods with homeowners associations (HOAs) can vary in what they do and what rules they have. In this edition of “Farragut Home Buying 101,” we look at what exactly a homeowners association is, what rules they may have, and how they can influence your life in a Farragut neighborhood. The association is made up of everyone that lives in that particular neighborhood. From that neighborhood, a group is elected to help uphold the rules of the neighborhood. The rules for each neighborhood are outlined in something called the Bylaws or in the Covenants, Conditions, and Restrictions (CC&R). The Bylaws or CC&Rs cover things like use for common property elements, parking rules, pet restrictions, restrictions on what color you can paint your house, among many other things. Some HOAs have very strict rules, while others are not very strict. Since HOA rules can cover a range of things, it can be important to check out the Bylaw or CC&Rs before buying a Farragut home. In addition to setting rules for a Farragut neighborhood, HOAs also collect dues to maintain certain areas of a neighborhood. HOA dues can help maintain any of the following: the community club house and pool, parking areas, landscaping of common areas, exterior lighting exterior building maintenance, among other things. The amount and frequency of dues varies from Farragut neighborhood to Farragut neighborhood. Before writing an offer on a Farragut home, be sure to look into the HOA.Since HOA rules can cover a range of things, it can be important to check out the Bylaw or CC&Rs before buying a Farragut home. It is also important to remember that in most cases HOAs are not optional, if you do not pay your dues, your HOA can impose a lien on your home. Are you looking to buy a Farragut home? If there is anyway Knoxville Home Team can assist you, please let us know, you can give Rick at call at 865-696-9002 or send an email to Rick@KnoxvilleHomeTeam.Com. Kati can be contacted at 865-392-5880 or via email at Kati@KnoxvilleHomeTeam.Com.